We've been producing fiberglass bodies for over forty years for other application and in 1996 developed the ALSF-96, now known as the PIONEER SERIES. With ten different floor plans and variations available, the Pioneer Series has proven to be very versatile for emergency and quick response units. Its user friendly compartments provide readily accessible storage for all types of equipment, all stored at waist/chest height. Versatility. You could say it's our strong suit. All compartment modifications (i.e., shelving, mounting brackets, etc.) are modular, meaning they can be moved to another compartment providing the compartment has been equipped with shelf track material. All compartments have steel plates embedded in the backside of the fiberglass to reinforce the shelf track installation. These plates have been standardized in location and additional shelf track can be installed at any time by the end user. When compared to SUV conversions and truck bed inserts, the Pioneer Series has proven to be more beneficial to the end user. Truck bed inserts preserve the factory bed of the truck, while Swab units are mounted directly on to the chassis, freeing up valuable payload to be used for extra equipment. Furthermore, Swab bodies are ergonomic in design and facilitate easy, waist-height access to compartments and equipment, where truck bed inserts require the user to reach over and across the truck bed. Equipment can be heavy, and reaching over the bed requires valuable extra time and strength, with a greater risk of injury- all of which is avoided with a Swab Pioneer Body. 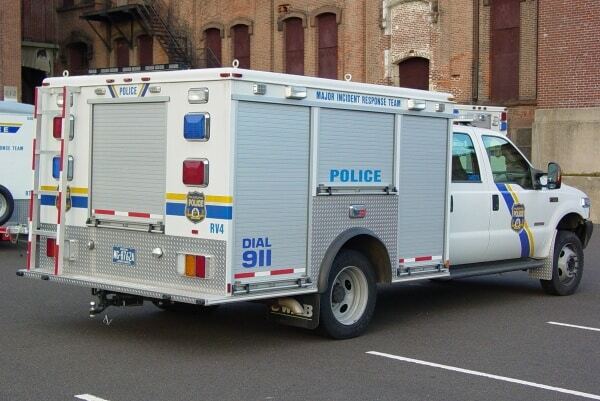 Whether you provide an Advanced Life Support Service, Haz-Mat Response Service, Water Rescue or other service, the Pioneer Series fiberglass utility body will fill the ticket. Need to Keep it Cool? We offer a variety of 12 volt and 110 volt climate control units for the storage of pharmaceuticals and other temperature sensitive equipment. Ready to Get a Quote on Your Next Pioneer Series?